I had the honor of attending Michelle Obama’s book tour kick off here in Chicago on Tuesday night. Before she took the stage, they showed a powerful video of different people and what they are Becoming (the name of her new book) with an emphasis on each person’s differences. She then talked a good deal throughout her talk about how each of us has a story, unique to us. She talked about how, on the campaign trail, she got to hear different people’s stories and what a privilege that was; how we all have more in common than we think, but also how we can learn from each other’s differences. I love this! I have had the honor of teaching adults in leadership classes over the years. I like to start our time together introducing myself and often I give my little speech about why I love adult learning so much. It usually goes something like this. Michelle Obama said, “It is difficult to hate someone up close.” She talked about her experience of going to places like Ohio, where she didn’t “fit” and sitting on a couch talking to someone and them saying she isn’t what they thought she was. They had judged her based on what they saw or other people’s version of her story. But when she was sitting there with them, sharing her story they saw her for who she really is. How powerful. In adult learning, we bring people “up close”. We bring them together to learn. No matter the topic, the most powerful tool we have when we do this, is the story that each learner brings to the table. We need to find ways to allow our learners to share their stories. We need to find ways to take advantage of this power! It is by bringing people together, bringing them close, that we build an “arch” to allow them to see one another for who they really are and not the color of their skin, the clothes they wear, the person they love, the country in which they were born… And once they see each other, then they can learn from one another. Our story is our power! Their stories are the power of learning! However, after only one week of reading and material in this course on distance learning, my understanding and my definition of distance learning has changed. Not only do I see that distance learning can involve other avenues of communication outside of a computer and online, but I also believe the work I do as an instructional designer within a corporate setting can be included in this broad methodology of learning. Reading about the history of distance education this week was very eye opening. I hadn’t considered that distance learning could have begun at least 160 years ago. Of course, it looked a lot different then. “An advertisement in a Swedish newspaper in 1833 touted the opportunity to study ‘composition through the medium of the post.’” (Simonson, Smaldino, Albright, & Zvacek, 2008) This mode of distance education is also one I had not thought about. My mind automatically goes to how I see distance learning today. A world where we have high speed internet and cell phones on which we can access virtually any information we may be looking to find; this is the world where my definition of distance learning has been shaped. Still today, distance learning can include methods such as the mail, videos, and the telephone, not only the computer and the internet. The method for distance learning was not the only change that my definition had to undergo this week. When I considered distance learning before it was almost exclusively used for education in the higher education arena. However, we read three different articles this week that defined how distance education is also being used effectively in the K-12 and training and development areas. This should not have been a new part of my definition. In fact, in training and development, it should have been a major part of my definition as this is what I do in my work on a day to day basis, but it is not something I would have defined as distance learning before this week. I now see this differently. I now define distance education differently. Based on my experience and my knowledge, including what I have learned in the past week, if you asked me today what my definition of distance education is I would say something like, “Distance education is a person gaining knowledge through a method of learning outside of a classroom using resources provided from an instructor who communicates through a variety of different means.” It is much broader. It is much more encompassing of not only my own experience but the experience of a much larger audience. As my definition has changed based on what I now know about the history of distance learning, the future of distance learning must also be considered. Where is distance learning going? What does the future of distance learning look like? I am no expert in this field, and I do not own a crystal ball. However, having seen computers go from a flashing green cursor on a black screen only 20 years ago to a tablet that can now access the world wide web by just touching the screen, I would say that the future of distance learning has no limit. We are already able to take our courses from a cell phone, from anywhere at any time. As technology continues to advance so will the possibilities for distance education. The challenge will be in designing the instruction for the learning to meet the needs of all learners in these new formats. This is why being in the field of instructional design in the present is so exciting, because the future looks so bright! “There is nothing so practical as a good theory, but a theory without the opportunity for real-life implementation will soon fade away” (Blythe & Gardner, 1990). As I am coming to the end of my course on learning theories instruction at Walden University, I read this quote with different eyes than I might have when I first started. Theory has always been a word that left me with little to no emotion or excitement. However, as I studied learning theory over the past month and a half, I have actually found myself excited at the prospect of, not just studying theory, but having the opportunity to implement it in real life. When I first began this course and was asked which theories were most in line with how I learn, I pointed to the cognitive and constructivist theories. In the seven weeks since that time, after studying multiple learning theories, I would still agree that I learn through a cognitive and constructivist view. However, I would also have to include a connectivist and adult learning theory approaches. 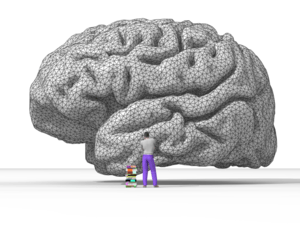 I connect with the cognitivist theory as I believe that, for myself, it is extremely important to understand how I am learning just as much as what I am learning. Using metacognitive strategies is something I do regularly to check my comprehension of information. Before this course I did not have a name or definition for what I was doing, but this is something that I now understand as not just a concept that helps me to learn better, but one that needs to be brought to light with the learners I work with to help them to be more effective in their learning as well. Bransford and Donovan (2005) gave three principles of learning that are particularly important for teachers to understand and be able to incorporate in their teaching, the third of these three principles is that “a metacognitive approach to instruction can help students learn to take control of their own learning by defining learning goals and monitoring their progress in achieving them.” (p.2) This is true for me and for the learners I work with, and thus I believe the cognitive theory is in line with the way I learn best. The constructivist theory is one that I connected with immediately when reading and learning about its basis. I think this stems from the fact that I grew up in an environment that required me to learn to do things on my own. My parents worked hard and were not always there to guide me in my learning. This meant I was constantly learning from watching others and applying what I observed. The social constructivist theory specifically stood out as how I have learned many skills in my personal life. I also described in my original post for this course that the constructivist theory is the theory that best describes my learning of instructional design before entering the Master’s program. I learned from observation of others and observation of design. I was put into the environment and learned by doing the work. Through this observation and practice I developed my understanding and beliefs about the field. In adding to my original post, I would also include the connectivist theory approach as being in line with the way I learn best. This learning “theory for the digital age, where individuals learn and work in a networked environment” (Anderson, 2008) is one that makes sense in my world. As an instructional designer that has worked in a building where I am the only person doing what I do, the only way to learn is to connect to the network of instructional designers and information on the internet and social networking. I learn so much about the new trends and information of instructional design through these avenues, and now through my courses at Walden. 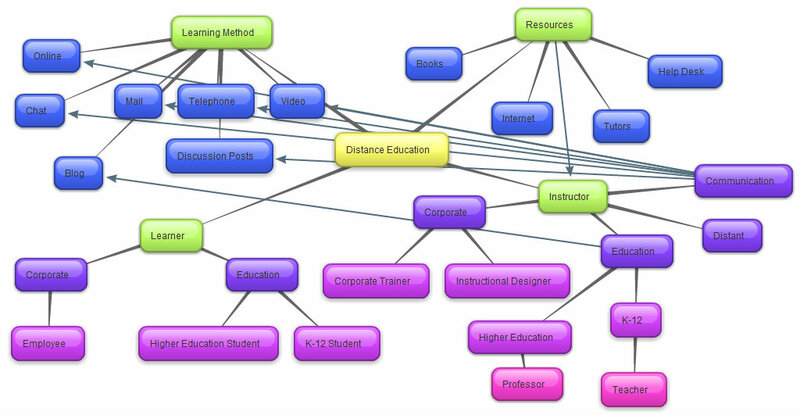 I have a network of other students that I discuss the issues of the current world of instructional design on a weekly basis. This theory, though it has a lot of push back, holds validity in how I learn. And I think it also must be considered with the current generation of students that we work with as well. And the final learning theory I want to speak of my connection with is the adult learning theory. Not only because I am an adult, but because of the basic principles of the theory, I think this is one that falls in line with the way I learn. I am a self-directed learner who wants to be involved in the planning and evaluation of my learning. I need to be able to apply what I am learning in my life and learn from my experiences with that application. I prefer to learn through a problem-centered learning environment rather than a content-oriented one. (Conlan, Grabowski, & Smith, 2002) I also find that in being an instructional designer in the corporate world that these principles are key to being successful in my day-to-day work. Lastly, I want to touch on how technology plays a role in my learning. On a daily basis, I probably use a search engine of some type, Google, Bing, etc., an average of 3-5 times a day. When I am looking for a new way to put people into groups, a new format to develop a lesson, or a new animation action in Power Point, I go to the internet. I have an iPhone and apps that help me to know the weather, my class grades, and keep up with my favorite internet sites. There is no end to the use of technology in my learning. When I think back to how learning occurred only 5 years ago, it is amazing the changes! With my knowledge of learning theories and the access to technology to aid in my continuous improvement, I hope to be able to always stay abreast of the latest trends and be the best that I can be in my field.